Dr Christos Symeonides is an experienced General & Developmental Paediatrician. 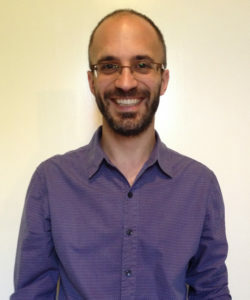 Melbourne Kids is the only clinic in which Christos sees private patients. Christos has broad experience in the assessment, management and coordination of care for all paediatric medical problems and sees a broad range of medical problems in his work as a General Paediatrician. He has additional specialist expertise in childhood developmental concerns and developmental differences including Global Developmental Delay, Autism Spectrum Disorder, Attention Deficit Hyperactivity Disorder, and Specific Learning Disorders. Christos studied medicine at the University of Edinburgh and has worked as a paediatric doctor both in Scotland and in Melbourne. He completed specialist paediatric training through the Royal Children’s Hospital Melbourne, and is a Fellow of the Royal Australasian College of Physicians (RACP), as well as a foundation member of the Neurodevelopmental and Behavioural Paediatric Society of Australasia (NBPSA). His main clinical appointment is at the Royal Children’s Hospital, where he is a member of Senior Medical Staff at the Centre for Community Child Health and in the Department of General Medicine. In addition to his clinical work, Christos is actively involved in medical education and in research. Through his work at the Centre for Community Child Health, Christos teaches and supervises paediatric doctors who are completing specialist training in developmental and behavioural paediatrics. He also regularly participates in programs teaching other paediatricians and general practitioners. His philosophy is to understand each child’s developmental differences in their broader medical, emotional, developmental and family context; to identify strengths as well as weaknesses; and to work in partnership with families, general practitioners, therapists and educators to help children and families maximise their potential. Christos’ research focuses on early childhood health and development. His research work is with the University of Melbourne and Murdoch Childrens Research Institute, also at the Royal Children’s Hospital. In order to see Christos at Melbourne Kids, you will need a referral from your child’s General Practitioner (GP). Appointments can be in high demand, and priority is given to infants, preschool and primary school children in Melbourne’s north and inner-north, and to existing clients of the multidisciplinary team at Melbourne Kids. Dr Suzi Riess is a skilled General Paediatrician who joins the team at Melbourne Kids in 2018. She has experience in general and neurodevelopmental-behavioural paediatrics, including sleep and settling problems across the age range, continence and toileting issues, and general management of children with complex, chronic health concerns. She has a special interest in helping children with Autism Spectrum Disorder, ADHD, developmental differences, learning difficulties, emotional/behavioural challenges and physical disability including cerebral palsy. Suzi completed medicine and an undergraduate research degree at Monash University. She undertook specialist paediatric training through the Royal Children’s Hospital Melbourne and is a Fellow of the Royal Australasian College of Physicians (RACP), as well as a current board member for the Neurodevelopmental and Behavioural Paediatric Society of Australasia (NBPSA). 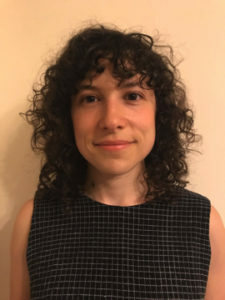 Her research interests include health systems research, health economics, understanding and improving low value health care practices and management of unsettled infants. Suzi’s research work continues with the Murdoch Children’s Research Institute (MCRI) at the Royal Children’s Hospital. Suzi loves working with children and families and believes every child should be supported to meet his or her developmental potential.